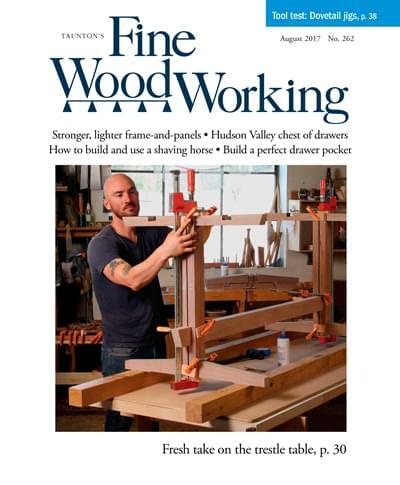 Channel the woodworking spirit of James Krenov as you build a wooden handplane in this fun and informative workshop. Students will learn to assemble, tune, and properly use their plane as well as to efficiently sharpen irons. Each student will leave with a Krenov-style wooden plane and a pile of shavings! 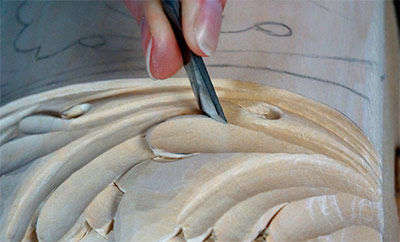 Discover Dixie’s secrets to using a rotary Micromotor carver to create intricate relief-carved patterns on your work. 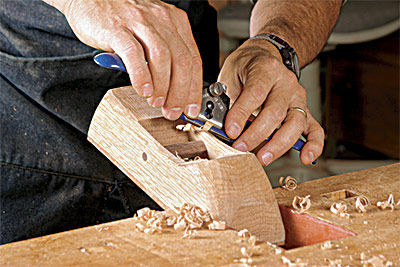 You don’t need any previous experience with power carving for this class, just a desire to learn new, fun techniques. 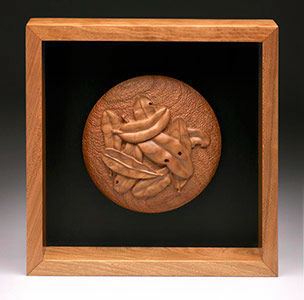 You will learn how the wood burner and rotary carver can add finer detail and contrast to relief-carved patterns. 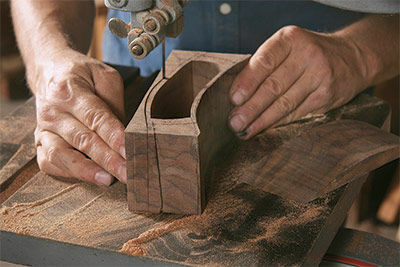 Once you’ve mastered the carving, Dixie will show you how to add further depth and dimension to the design with color. Learn the steps to applying multiple layers of color using a dry-brush technique with acrylic paints. This class is sure to unleash your creativity! Explore the art of box making in a very creative way with an inspirational workshop that focuses on exploring ideas that fall outside the box. Emphasis will be on using the bandsaw to shape and sculpt boxes with pleasing curves, but it’s also a chance to explore unusual, fun, or even zany shapes. The workshop will also show how to add patterns, texture, and colors to the surfaces of the boxes. Get ready to turn an ordinary log into a beautiful and functional bowl. In this class you’ll learn to use an axe, adze, sloyd knife, spokeshave, and gouges to sculpt wood into one-of-a-kind graceful vessels. You’ll take home the concepts and skills you learn here and incorporate them into other work. If possible, bring a pencil compass in the 8-in. to 12-in. range, a drawknife, long bent gouges (#6 to #8 range and others), knives, and any other carving tools you’d like. Some may have time to add decorative elements to their bowls, and Dave will cover related topics such as sharpening carving tools and adjusting edge geometry for peak performance. 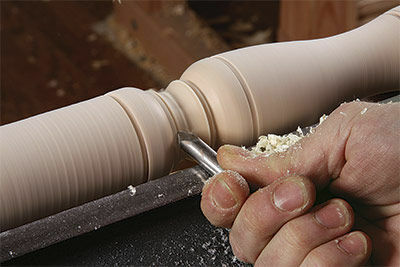 Turned parts can add great interest to furniture, but turning is a distinct skill set from most other forms of woodworking. Often, furniture makers work at the lathe only in moments of need, with precious materials on the line and the clock ticking. This can lead to frustration and to adopting poor techniques that are limiting and inefficient. 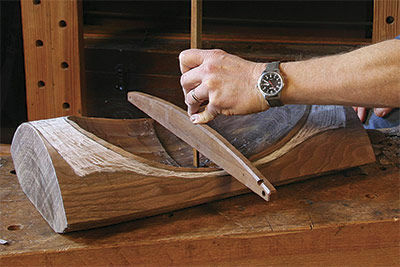 With the right approach and a bit of practice, turning can become an enjoyable and rapid means for making furniture. This hands-on class will offer insights into turning concepts as well as techniques that will enable makers to incorporate turning as a productive part of their workshop routine. The ability to bend wood to exact shapes opens up a range of exciting possibilities for woodworkers. 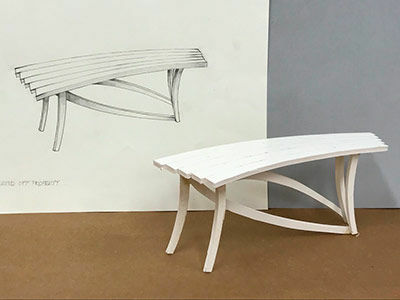 This action-packed course will demystify the process of bending wood for chair parts, table aprons, cabinet doors, sports equipment, musical instruments, and more. You’ll learn to apply the most appropriate bending technique for any application, including steam-bending, laminating, vacuum forming, kerf bending, and hot-pipe bending; Michael will even explain when it’s better simply to bandsaw a curve. You’ll also learn how to choose the right wood species, how to cure and stabilize bent parts, and the methods for hand working or safely machining. Students will have plenty of opportunities to hone their newfound skills and will be encouraged to push the limits of the various techniques. All of the wood-bending setups can be duplicated inexpensively in your own workshop. 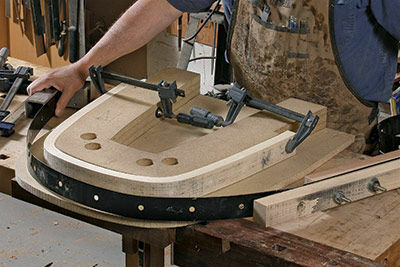 An important part of this workshop will be demonstrations on creating joinery for curved parts. BONUS: Add a 6-day Apprenticeship with Michael Fortune and Kelly Parker from February 4 – 9. Learn more by clicking here. Use coupon code FWW10 for a 10% discount. Take your work to the next level by building confidence in your design skills. In this session, participants will be encouraged to think outside of their comfort zone to come up with truly unique designs. You’ll be given design challenges, then sent on quick field trips in search of inspiration. You will learn a process for generating a large number of ideas quickly, and then discover ways to make the sketches come to life with quarter-sized 3D models so you can explore numerous variations of an idea. Kelly will reveal some of her favorite design tools and tricks, and she’ll discuss the power in photographing your models. By the end of the session, you will leave with several of your own designs, a process for developing future designs, and confidence in your design skills. BONUS: Add a 6-day Apprenticeship with Michael Fortune and Kelly Parker from February 4 – 9. Learn more by clicking here. Use coupon code FWW10 for a 10% discount. Learn how to carve the iconic acanthus leaf, a detail commonly seen on period furniture and architecture. First seen embellishing the Corinthian capital 2,500 years ago, the acanthus leaf has evolved throughout many historical periods and is still commonly used as a design element today. This class will begin with the fundamentals of wood carving (tool sharpening, safety, basic carving instructions, and grain direction). Mary will demonstrate several techniques for drawing the leaf, and then guide you through the step-by-step process of carving two different acanthus leaf projects. The first will be a basic, symmetrical leaf on the knee of a cabriole leg; the second will be a more decorative, curling Rococo-style acanthus leaf that is often used as an applique on furniture or architecture.